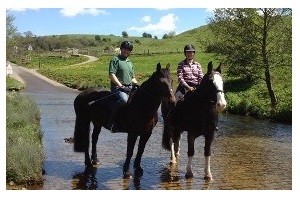 Hoe Grange Holidays offers first class accommodation, not only for you, but also for your horse or pony. Imagine waking up every morning to the sight of your horse grazing in the paddock outside your cabin window. 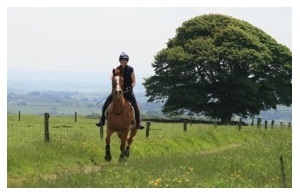 The Pennine Bridleway and High Peak Trail are easily accessible through the fields, just 500 metres from the farmyard, providing miles of safe off-road riding. 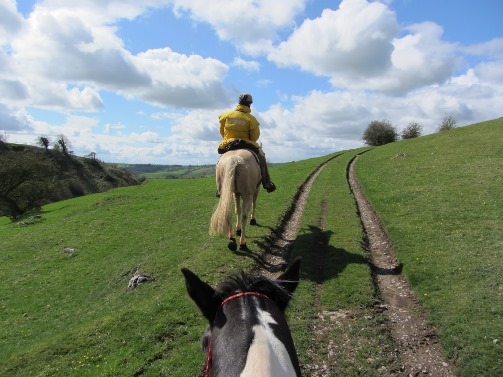 Bring your horse on holiday and in addition to the local bridlepaths, you can ride over 250 acres of privately owned farmland, (depending on weather conditions and cropping). 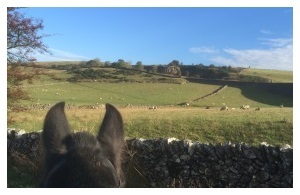 Imagine cantering across the undulating open fields. 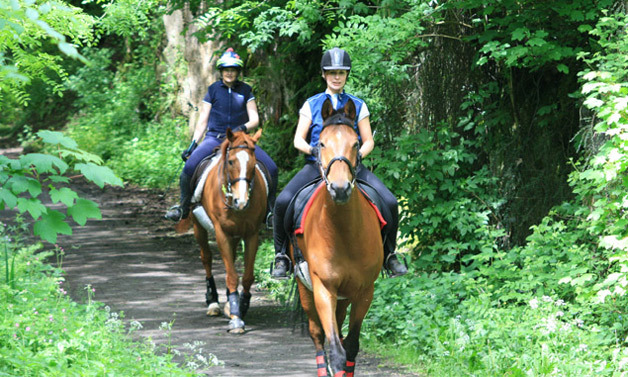 Holidays with your horse provide a great opportunity to get your horse really fit and increase stamina – we have plenty of hills! 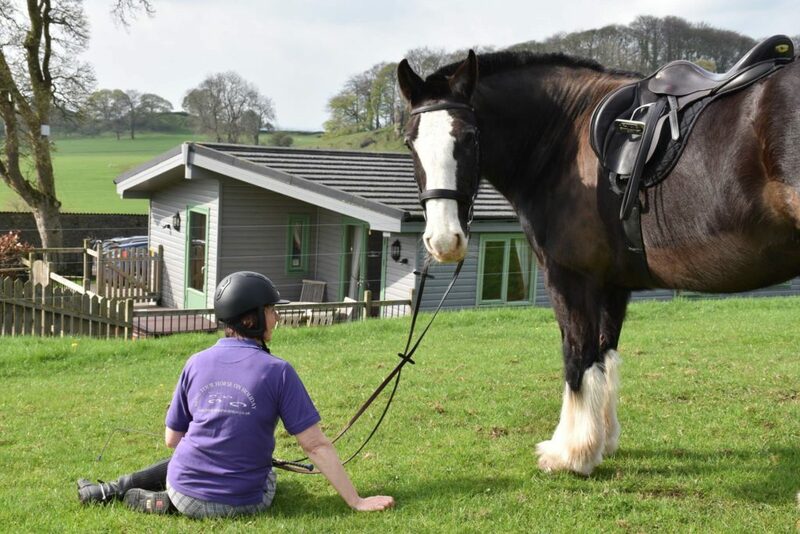 Hoe Grange Holid ays is a certified member of The British Horse Society’s Horses Welcome Scheme, the UK’s first quality-assured scheme for equestrian holiday accommodation. 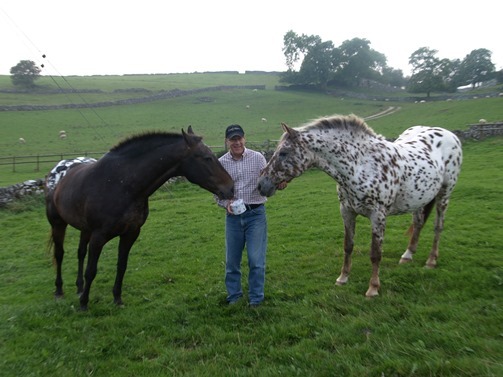 Only properties that BHS inspectors would be happy to take their own horses to are endorsed, and being approved demonstrates our commitment to providing a genuine “home away from home” for horses as well as our human guests! So why not take your horse on holiday? 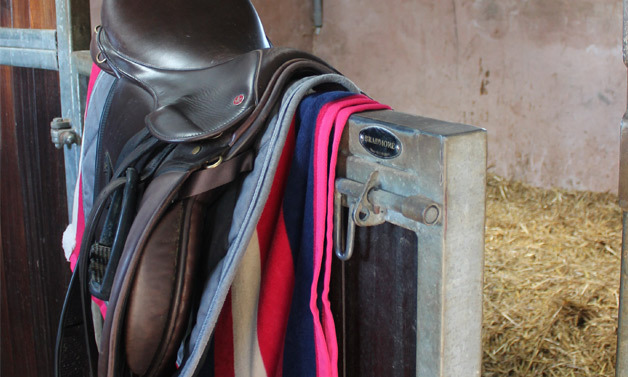 As horse riders ourselves, we know all the best routes, from short loops to longer distance full day rides, our favourite being a ride to the pub! Ordnance Survey Explorer map OL24 (the Peak District, White Peak area) can be provided on request at a cost of £8.50. As well as bringing your horse we also welcome dogs in our log cabins and glamping pods. Lots of wonderful walks from the door. 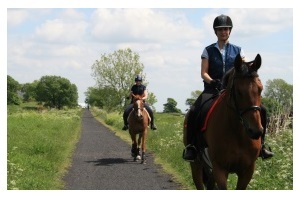 Equi Taxi provide Defra qualified driver hire and self-drive horse transport. GB Horse Transport people with horses who move horses for people – local and national horse transport, camera for added safety. 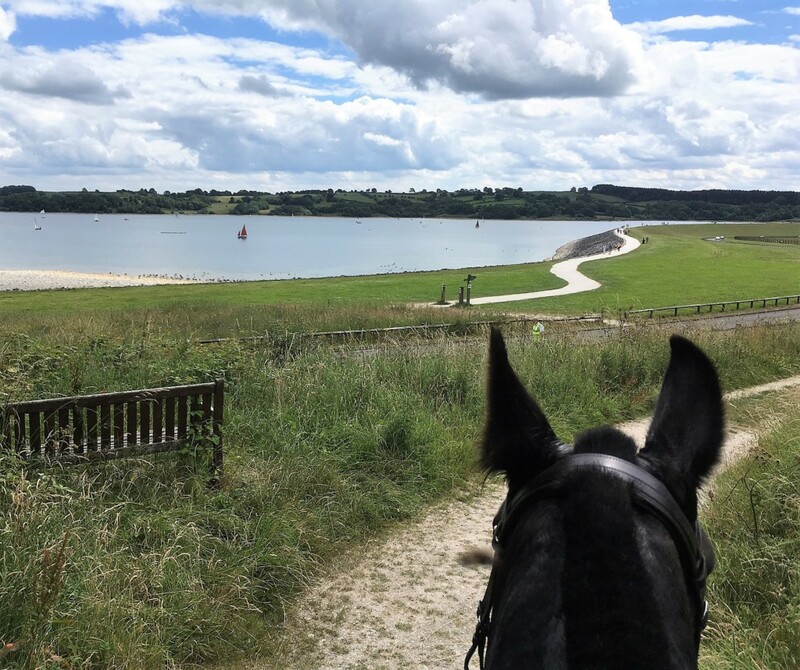 Read our terms and conditions for horses here, and we look forward to you bringing your horse on holiday to Hoe Grange! 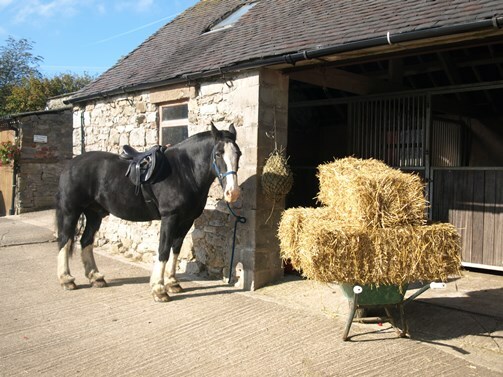 Stabling is generally DIY, but if you want a real holiday why not let us do the hard work and muck out for you? 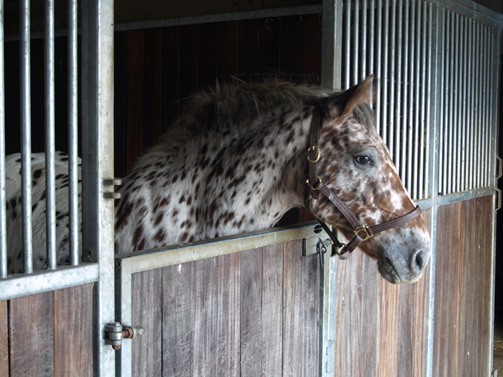 Full livery is available at a cost of £30 per horse per night.